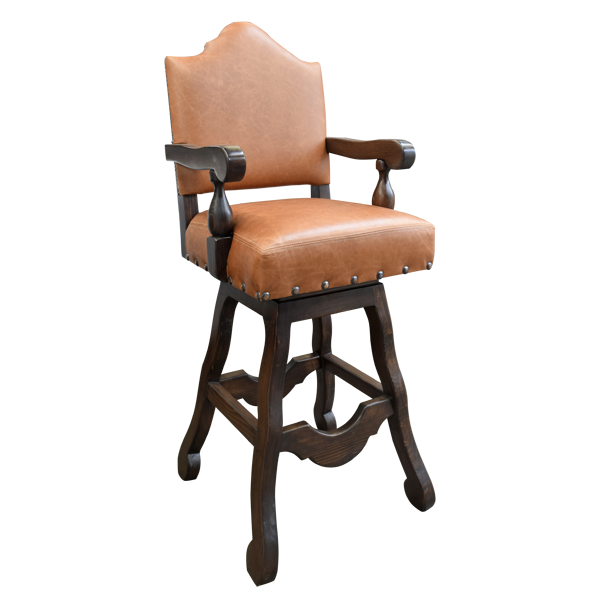 With its vivid full grain leather upholstery and its traditional clean lines, this handcrafted bar stool will be a focal point in your interior décor. 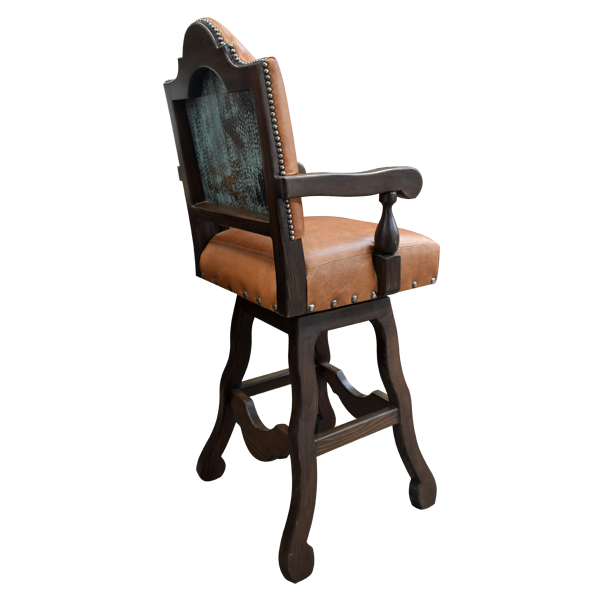 It is beautifully finished, and the combination of the upholstery and the beautiful finish adds to its charm. 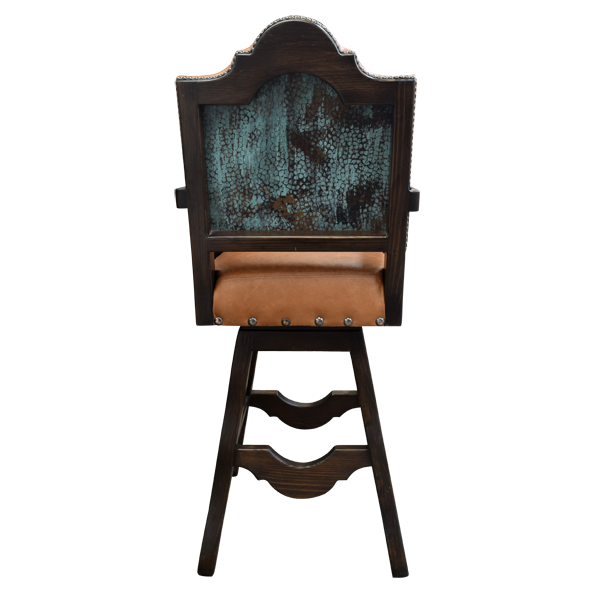 The bar stool is upholstered with luminous, salmon colored full grain leather on the seat and inside seat back, and turquoise colored, embossed full grain leather on the reverse seat back. The seat back has a high arched back design. 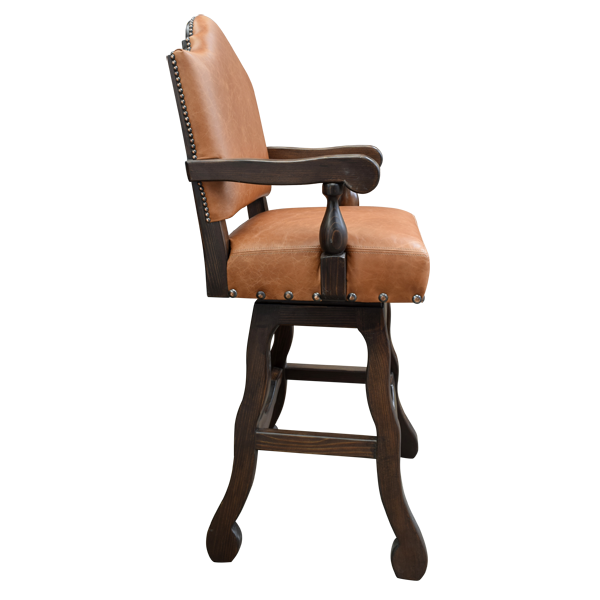 The upholstery is hand tacked to the entire wood frame with the greatest care by our skilled craftsmen. The base of the bar stool is decorated with hand forged nails. 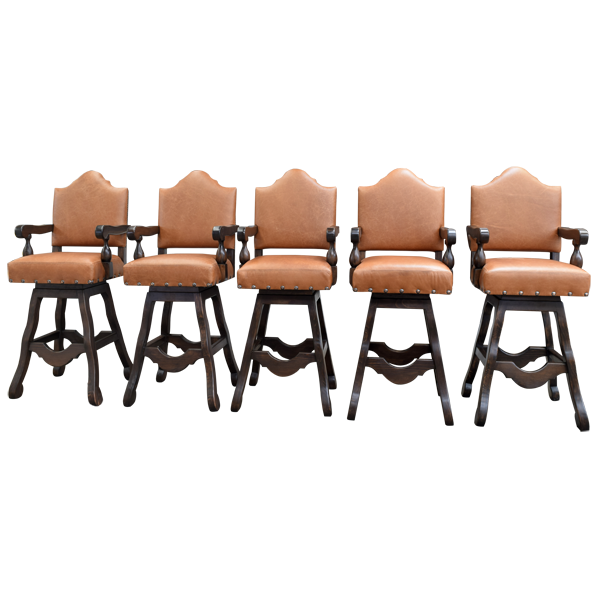 The bar stool, including its armrest, is made with the best wood available, and is durable and comfortable . 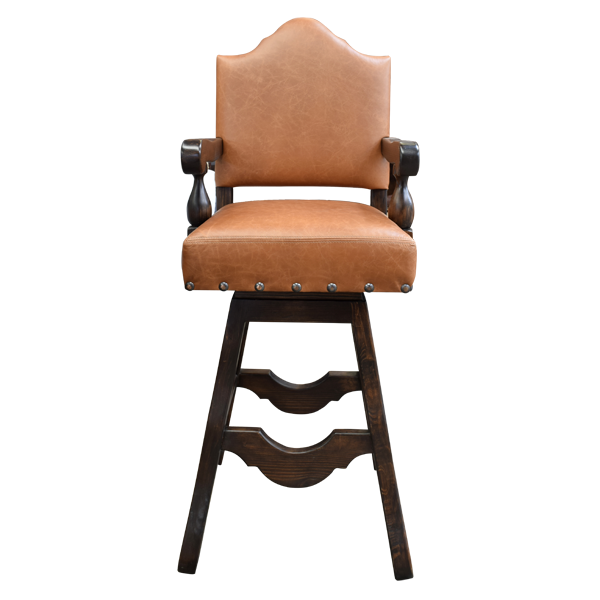 The entire bar stool sits on splayed wood legs joined by an ornate curved cut footrest box stretcher. It swivels 180° and is 100% customizable.